The Lizard Sanction - Audiobook (abridged) | Listen Instantly! The amazing Spider-Man launches into his most harrowing adventure as a trip to Florida turns into a deadly race to prevent disaster! The Lizard is wreaking havoc throughout the Everglades, as he seeks a cure for his dual identity as the reptilian villain and the human scientist Dr. Curt Connors, the result of an experiment gone horribly wrong. Spidey’s attempts to halt the Lizard’s rampage lead him to a web of intrigue and danger that may spell the destruction of a space shuttle launch. The action heats up as Venom, the alien symbiote who wants Spider-Man dead, arrives, targets the Lizard for death, and won’t let anyone stand in his way! Spider-Man must save the shuttle, halt the Lizard’s rampage, and keep Venom from destroying the Lizard and the helpless scientist trapped inside him before it’s too late!
" I read this a long time ago. Excellent read. Some cool twists and turns, though I can't remember specifically about what. " 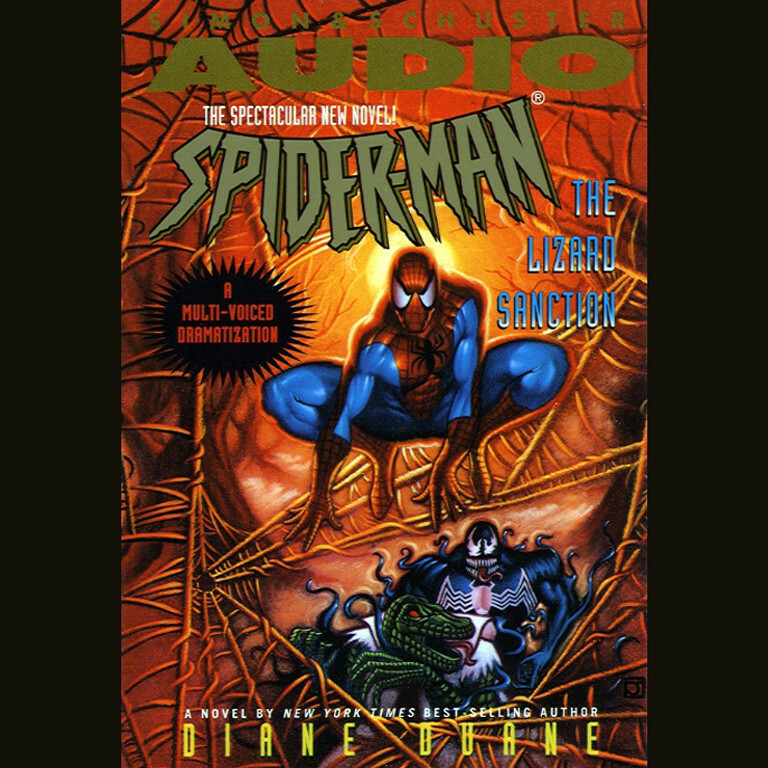 " A decently done Spider-Man novel, this one a sequel to Duane's Spider-Man Venom Factor. " " The book lost me during the quieter moments as Peter talks to MJ. " " I loved this when I read it years ago, like years ago. " Diane Duane, a descendant of New York’s first mayor, worked as a psychiatric nurse in New York before beginning her writing career. A New York Times bestselling author of science fiction and fantasy, Duane boasts a large resume of written work. In addition to her numerous novels and popular series Young Wizards, Duane has written short stories, comics, screenplays and computer games, all to great recognition. She lives in Ireland with her husband.